An easy Korean BBQ Sauce Recipe that is sweet and salty, spicy and savory – this is an simple recipe to make that adds a ton of flavor! Marinated chicken is grilled up perfectly and served in a bowl, this is a complete meal. The bowl is rice, kimchi, chicken marinated in Korean bbq sauce. The whole meal is topped off with a sunny side up egg to make a rich complete meal! 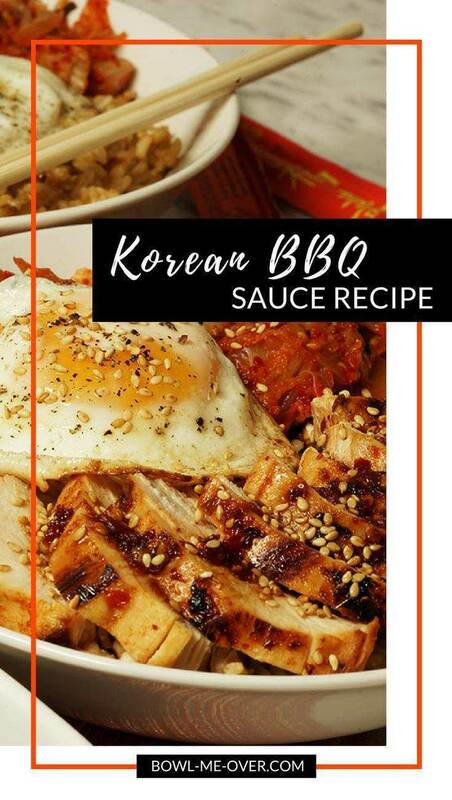 Korean BBQ Sauce Recipe – easy, flavorful, amazing flavor with just a bit of spice! Have you been enjoying the Olympics as much as we have? Ever since I was a kid we would watch the Olympics! Do people do that now? This year, the Olympics have been jaw dropping, suspenseful, exciting and a transcending event where the world pauses to enjoy the competition (hopefully) leaving politics behind. I absolutely love it! I hope you do too! And of course with the games… comes the food right?!! Korean cuisine is a combination rice, vegetables and meat. It’s the perfect combination of sweet, spicy and savory. Simple ingredients deliciously combined to make a complete meal. Have you tried kimchi before? Kimchi is often a side dish served at with your meal. 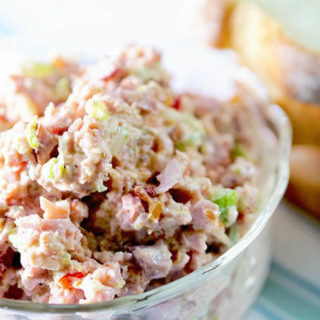 In this bowl, it’s a flavorful side-dish without being overpowering and compliments the barbecue. Kimchi is a slaw made of fermented peppers and vegetables – usually Napa cabbage. Here’s the deal… If you like sauerkraut (which I love) good chance you’ll also like kimchi! I say this because over the years, it’s gotten a bad wrap. 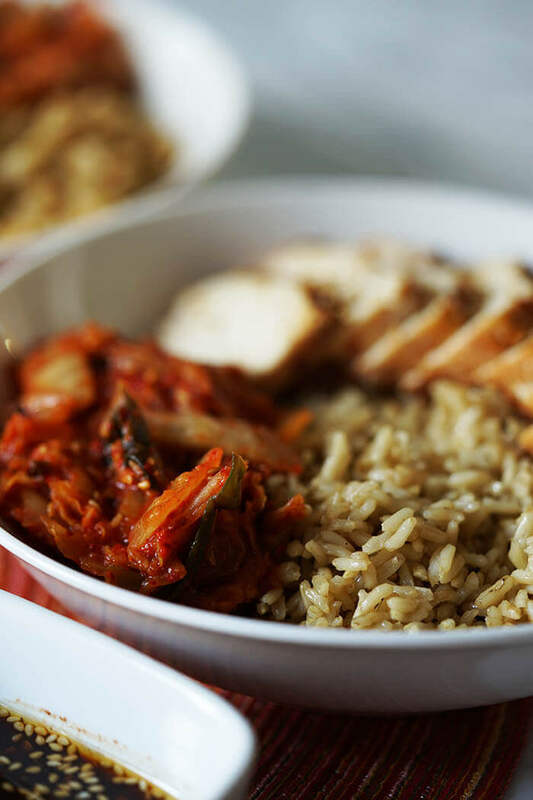 We’re going to take a short cut with this meal – purchase your kimchi. Spend an extra dollar and get good quality. I do not think you’ll be disappointed! What is in Korean BBQ Sauce? 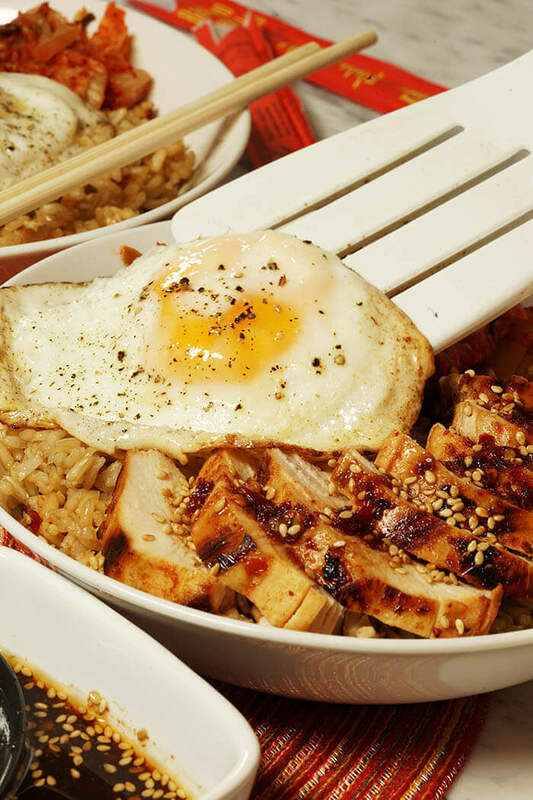 Top off your Korean Rice Bowl with a sunny side up fried egg! The bowl is topped off with a sunny side up fried egg. When you puncture the egg, the runny yolk combines with the rich sauce and grilled chicken for a sumptuous bite! My. Goodness. This. Is. GOOD!!! Not grilling weather where you live? No problem, make this on your indoor grill inside. That’s what I did. After marinating the chicken I grilled it for about 5 minutes on side one and finished it off in the oven. When I pulled it out of the oven, I tented it with foil to let it rest. This will help keep the chicken breast moist and tender. That gives you plenty of time to fry the egg! Get the skillet hot and melt butter, add the egg and fry until the edges are crispy brown but the yolk is runny. 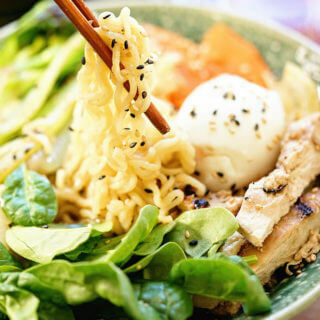 Top off your bowl and sprinkle with a few sesame seeds to finish off your meal! How do you make Korean BBQ Sauce? Add the ingredients; garlic chili paste, sesame oil, brown sugar, soy sauce, rice wine vinegar to a screw top jar or ziplock bag. Mix or shake well. 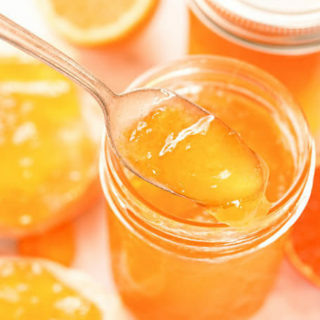 Store unused marinade in the refrigerator. This will keep for a week refrigerated. Here’s another shortcut I take – I use a microwavable rice (gasp) yup! Ninety seconds in the microwave and it’s done. I stir in a tablespoon of the BBQ sauce to flavor it up and into the bowl it goes. I want this meal done quickly and in my opinion, this is a great shortcut. By all means if this is not your thing make rice the old fashioned way! So tell me have tried Korean food before? Let me know how you think this stacks up! Or if you’re more comfortable, pop me an email and share your experience – I’d love to hear from you! This sauce is sweet and salty, spicy and savory – it clicks off every box! 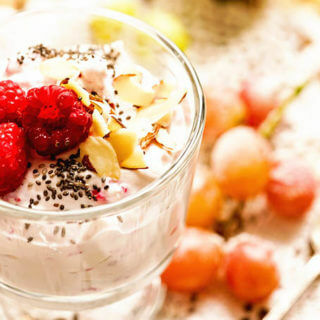 It’s an easy recipe to make and delicious to enjoy! Chicken is marinated in barbecue sauce and grilled. It is moist and flavorful. 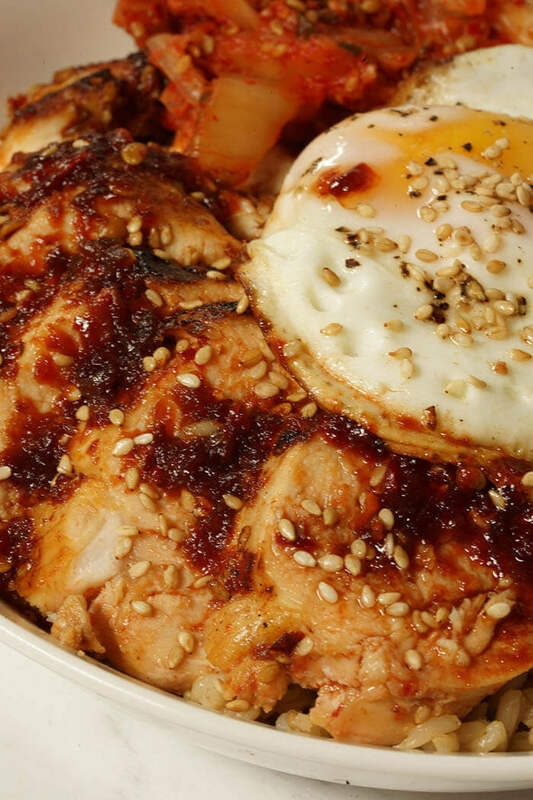 Served up with rice and kimchi, this bowl is a complete meal. Topping it off with a sunny-side up egg takes it right over the top! An easy Korean BBQ Sauce Recipe that is sweet and salty, spicy and savory - this is an easy recipe to make and enjoy! Marinated chicken is grilled up perfectly and served in a bowl, this is a complete meal. The bowl is rice, kimchi, chicken marinated in Korean bbq sauce. 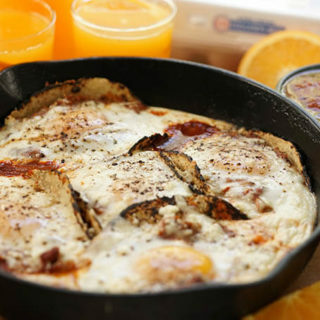 The whole meal is topped off with a sunny-side up egg to make a rich complete meal! Combine all of the ingredients except the chicken breast in a measuring cup. Mix well. Put the chicken breast into a ziplock bag. Add half the sauce, mix and massage the sauce into the chicken. Reserve remaining sauce. Marinate the chicken for 30 minutes. Heat a grill pan over medium heat. Spray with cooking oil to prevent sticking. When the grill is hot, add the chicken breast. Cook on side one for 4-5 minutes. Flip the chicken over and finish inside the oven. Cook for approximately 12 more minutes or until the internal temperature of the chicken reaches 165 degrees. Remove from the oven, tent with foil to allow to rest for five minutes. Slice thinly. Add butter to a hot fry pan and fry the eggs sunny side up until the edges are crispy and the yolk just set. 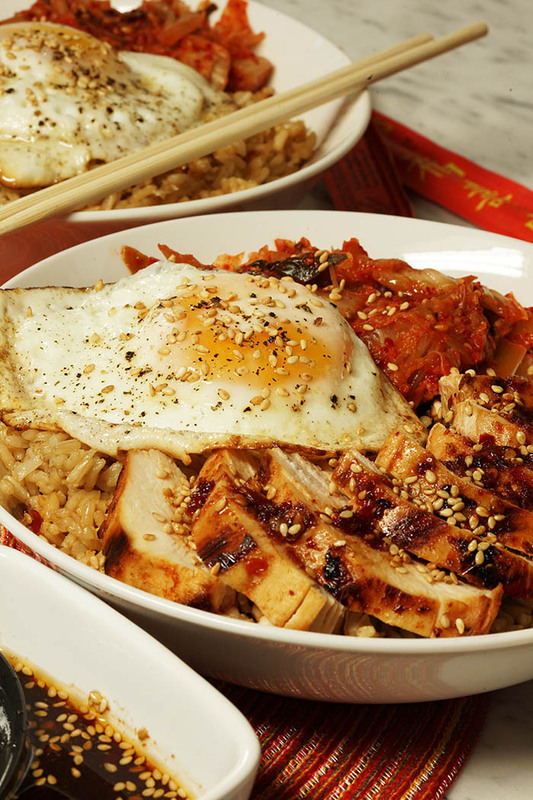 Complete each bowl by adding the rice, topping with a bit of kimchi, thinly sliced chicken breast and a fried egg. A drizzle of reserved sauce and a sprinkling of sesame seeds finishes the meal! Serve with additional Sriracha or chili paste for additional heat. Can I entice you with more Korean food? Click here for Korean Barbecued Chicken Kabobs or here for a delicious Korean Beef Broccoli Bowl. Here’s another delicious bowl – head over to the Recipe Critic for her family favorite meal a Korean Ground Beef Rice Bowl! Watch and enjoy the olympics! 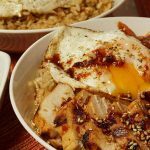 Korean food is delicious and I hope you give this easy meal a try using a homemade Korean BBQ Sauce Recipe! Looking for more tasty bbq sauces? Yes!! This is the opposite Liza – simple straight-forward and using a few shortcuts from the store keeps quick and easy! 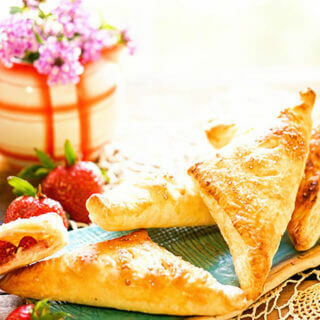 The flavors are tremendous, I hope you try this one, it’s really such a delicious meal! I love that you created an Olympics inspired dish. If I use tamari instead of soy sauce, it can be gluten free as well! That would be a delicious sub – why didn’t I think of that? Enjoy Sandi!! This is my kind of meal! It sounds so flavorful and looks so delicious! Thanks Lisa, I hope you give it a try! I’m not really familiar with Korean food, but I do know it smells fantastic when we are around Korean restaurants. This looks great! Will try it soon! I love Korean food and definitely think you should give it a try Debi, there’s so much flavor and I think you’d really like it! This was a huge hit last night on our dinner table….. we devoured every last bite. And I just didnt tell anyone else that there was kimchi in it…. funny what they didnt know didnt hurt them! That’s awesome Michele – we’ll keep that between us! 😉 Thanks for swinging back and letting me know!!! Yay! I do have all the ingredients, even the garlic chili paste! Great full meal for breakfast, lunch or dinner and love that it comes together in no time! Wonderful! You’re going to love this one Sandra, it’s a real family favorite!! I love that you created a themed recipe for the Olympics!! And a FANTASTIC one at that! Thank you!! I love Korean BBQ and it just seemed fitting – enjoy!!! I am in love with this sauce! I have tried so many times to make it at home and it never turns out as good as the restaurant. This is it totally!!! Enjoy Jennifer, it is sooo good, working on a bbq recipe next! I love Korean food!! This looks amazing! I love Korean BBQ, I can not wait to make this! Wonderful, I hope you really enjoy it Deanna! I feel the same way! I’m missing the games and all of the excitement. It was a grea tOlympics!! Korean BBQ is the best! I love how easy this sauce is to whip up! It is the BEST!! Love all that flavor – thanks for stopping by Madi! !